The city of Salinas, California has been hit hard with the drug epidemic that is so prevalent today. Violent gangs, crime, and a local state prison all contribute to the drug problem in the area, and many individuals find themselves heading down a path they never imagined they would. Luckily, the city and surrounding areas offer many of the types of treatment for those looking to escape their drug-dependent lifestyle and lead a sober life. If you live in Salinas or the surrounding County and have fallen victim to substance abuse don’t hesitate to seek treatment. There are enormous resources in at your disposal. The city of Salinas, California is located in the Central Coast area of California and is known for its’ coastal breezes and thriving agricultural industry. Also referred to as “The Salad Bowl of the World”, it is an ideal area for grape vineyards, vegetable farmers and floral growers. Being the largest municipality in Monterey County, it is also the county seat and main business, governmental and industrial area of the county. While the area contains many affluent, highly educated neighborhoods such as Creekbridge and Laurelwood, it is also a popular destination for Mexican and South American immigrants because of the agricultural work opportunities. It has a population of 157,224 with a median age of 30 years old, which is lower than the states’ median age of 36. Nearly 80% of the city’s occupants are of Hispanic origin working mostly in farming, fishing and forestry occupations. 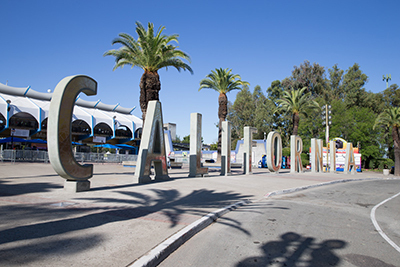 This gives the city a lower annual household income of $58,059 than the California average of $67.739. While Salinas appears to be a joyful little farming town to the outside world, the area has seen a surge in narcotic abuse and violent crimes in the last few years. Drug use in the city is focused mostly in the poorer areas of Central and East Salinas and is exacerbated by the nearby Salinas Valley State Prison. This prison has led the nearby area to house generations of gang members and become a center for gang-related drug activity. The city of Salinas’ crime rate is consistently higher than the U.S. and state average, coming in at more dangerous than a whopping 87% of other California towns and cities. Methamphetamine is the most prevalent drug of choice for the area and is involved in 70-80% of narcotic arrests in the county, but heroin is also being seen more and more frequently by law enforcement. In fact, between 2014 and 2015, Salinas’ murder rate nearly doubled, and most cases were linked to drug related issues, gang violence, and domestic disputes that turned fatal after being fueled by illegal drug use. Professional help is often needed for those looking to successfully kick their drug habits for good. Salinas has been included in the target population meant to benefit from recent actions against drug abuse being made by the Monterey County Health Department’s Behavioral Health division. The county has designed a range of drug and alcohol abuse recovery resources to aid the community in lowering its’ population of drug and alcohol addicts. The area has implemented various methods of prevention, intervention and treatment for those affected by drug abuse, and there are many options available for those that could benefit from it. The city features programs for individual or group counseling, education about drug abuse and its’ consequences, detox and maintenance programs, and recovery options including drug-free living in either inpatient or outpatient programs. It may take a while for a person to realize they are a full-blown drug addict, and even longer to admit it to themselves. Many people believe they can abuse drugs and be what is known as a “functioning addict”, which is someone who abuses drugs but still maintains the appearance of a normal, sober life. However, most people fall victim to the real dangers that prolonged drug use presents. Signs of abuse differ from drug to drug, but the signs of any addiction are almost always the same; changes in physical appearance such as weight loss, bruising or scabs, and dilated or constricted pupils, financial instability, a sudden change in their social network or group of friends, involvement in other illegal activities, and an increase in aggression or irritability. Once a person realizes they have a real problem and things have gotten out of hand, the best way to determine a path for treatment is to access the situation and be honest with themselves. Do they have a good support system to help them through this? Do they have confidence in themselves that they can be successful on their own? Are they ready to commit and make the changes necessary to improve their life? Do they need the help of medical professionals along the way? These are all questions that must be answered to determine the most successful method of recovery available to them. Most treatment methods will include similar first steps that are necessary in helping the patient succeed in their recovery from drugs or alcohol addiction. An assessment of the patient will usually be done by a professional such as a doctor, nurse, counselor, psychologist or licensed therapist upon arrival at the treatment center. This is a general assessment of the addict to help the medical professionals determine whether or not an addiction is present, the current severity of the addiction, and any other mental or physical factors that may be contributing to the addiction. This information is usually collected by means of questionnaires comprised of questions regarding family medical or phycological history, current drug or alcohol use and methods of consumption, behavioral and mental patterns, and open-ended questions asking the patient to explain how drug or alcohol use has affected their life. Screening tests may also be used, such as the National Institute on Drug Use Screening Tool (NIDA) or Alcohol Use Disorders Identification Test (AUDIT). These tests and surveys are extremely important in helping the treatment center determine the best course of action for an incoming patient, and all answers are always kept private and confidential. Once the assessment is complete and reviewed, the patients usually move to the intake process of the recovery program. This generally consists of meeting with a doctor, therapist or counselor to have a face-to-face discussion or interview with the patient. A brief physical or mental exam may be completed, and often topics surrounding the addiction will be discussed. Many patients have a hard time with the intake process, because the medical professional will ask questions that the addict may have a hard time answering because of embarrassment, shame, or fear. They may ask what life events are believed to have led to the addiction, the lengths the patient has gone to in order to support their addiction, any other illegal activities the patient may have been involved in, or whether or not the patient feels guilty because of their drug of alcohol abuse. These questions may be difficult to answer honestly or admit to, but they are necessary in the path to recovery and only being asked to help benefit the patient. Responses are always confidential, and honest and open answers are vital to the patients’ own success. Information gathered from the intake process are used to determine the best path and methods of treatment for the patient, as each patient is unique with individual needs. The intake process usually includes financial payment options as well once a treatment program is chosen. A residential drug recovery program, which is often referred to as an Inpatient Program, is a rehabilitation program that requires the patient to live at the facility for the extent of their stay, usually anywhere from 30-90 days, depending on the needs of the patient. Those entering the facility are assessed for their level of dependence and addiction by medical professionals, and once admitted, will undergo a detoxification process. Detox can cause drug withdrawals lasting anywhere from 24 hours to several weeks, depending on the drug of choice, length and method of abuse, and other medical or mental factors. In an Inpatient recovery setting, medication can be prescribed to assist the patient in dealing with the symptoms of withdrawal but is not always necessary. Once the patients’ body is detoxed and there is no trace of drugs in the system, the program moves forward to various methods of recovery, depending on the facility. Common methods include group or individual therapy sessions, physical therapy like yoga or exercise, as well as more specialized methods like acupuncture, meditation, and even animal-assisted therapies like horseback riding or use of therapy dogs. Patients are also taught important life skills to help educate them on common causes of relapse and prepare them with ways to deal with triggers and stress in a healthy, sober manner. Inpatient programs are viewed as the most successful method of recovery, because the patients are living in a stable, sober environment for the entire duration of treatment under medical supervision, away from any triggers or stressors that may spark a relapse or desire to abuse drugs again. The education and therapies provided also help better prepare a recovering addict to life on their own outside of the facility once treatment is over. Many inpatient programs are covered by various insurance plans as well, helping to make this method of treatment more affordable in some cases as well. More on Inpatient vs. Outpatient. After completing the program of their choice, recovering patients often seek a form of aftercare for themselves, whether on their own accord or after following a recommendation from a medical professional in their recovery program. Aftercare programs can vary and depend on the patients’ preference, need, and willingness to do so. Some recovering addicts continue visiting NA or AA meetings weekly, while some prefer to visit a personal therapist or counselor to discuss their struggles with maintaining sobriety. Many patients in recovery need help learning strategies that can help them be successful or would prefer to check in with someone like a therapist or counselor on a regular basis to help keep them accountable for their actions. Some treatment facilities also offer their own aftercare monitoring, typically in the form of meetings that can be held over the phone, in person, or by email as a method of checking up on the patient once they leave the facility. Finding a way to discuss personal issues that can be a trigger for drug use is key in the ongoing sobriety of a patient. The risk of relapse is, on average, between 40-60%, but that risk is greatly reduced if a patient leaves a treatment facility with a clear plan of action for their aftercare and follows through with every aspect of it as long as necessary. Some aftercare programs may also include the patients’ family or loved ones in the meetings or therapy sessions, as a way for everyone to understand what the patient is dealing with and learn to successfully support them in recovery. Another option for recovering addicts that are leaving a treatment facility is a Sober Living Home, or “halfway house”. This is a type of group home for people in recovery that requires regular drug testing, participation in group activities like therapy sessions or group outings, and residents are usually expected to help with daily chores. Some sober living homes help recovering addicts find jobs or go back to school as well. The purpose of moving from a treatment program to a halfway house is to help the patient learn to be responsible and accountable for themselves. They are most often expected to pay rent, buy their own food, and contribute to the house as a whole, while living with a group of people with similar goals and ideas. Sober living homes often have many rules to follow such as curfews, chores, and refraining from violence or aggression toward other house members. Breaking the rules brings consequences that vary by violation, but will often include paying a fine, doing extra chores, or writing an essay about their violation. Some instances, however, will result in the recovering addict to be removed from the home, such as failing a drug test, bringing drugs or alcohol inside the home, or fighting. Sober living homes may not be for everyone, because it is difficult for a recovering addict to transition from a life of addiction to one of responsibility and liability. The most successful residents of halfway houses are usually those who have already completed a detox and recovery program and are ready to be sober on their own accord. Sober living homes can be a great way for recovering addicts to learn to function in a normal, sober society again before being 100% independent and susceptible to relapse and give them the tools and skills they need to succeed on their own.